CAUTION • When connecting, make sure to line up the «+» sign on the tape with the arrow on the cord. 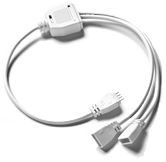 Connector cord (10″) to connect two angled devices together (optional). 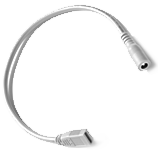 Connector cord (72″) to connect two angled devices together (optional). 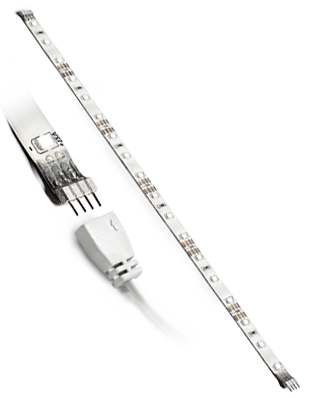 Coupler cord to connect two lines of adhesive strip together (optional). Needed to connect the transformer to the adhesive strips.